Paula’s design career began in 1996 working with clients of Ryan Homes and Development, a home building and construction company owned and operated by Paula and her husband Mike. Paula’s innate sense of color, design, and style was a natural fit in helping their clients choose permanent finishes such as flooring, cabinets, countertops, plumbing and light fixtures. Paula can do this all within the budget of their new home construction, remodel, or design work. Over the years word spread of Paula’s fresh and clever ideas, warm personality, and her extensive knowledge working with trades and craftsmen. Many friends and repeat customers sought her advice about projects beyond their permanent finishes from selecting paint, furniture, accessories, and adding that special pop of color, to total room makeovers and home staging. Paula has learned by doing, and she has done it all from large to small projects, from total renovation to simple room refreshes. Through Paula Ryan Designs, she collaborates with clients in all budget ranges to create beautiful, warm spaces in their homes that reflect their personality. 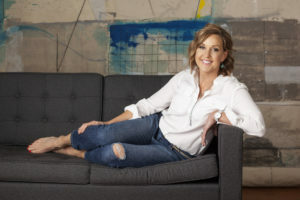 Design is her passion and she delights in demonstrating how small decisions can make a big difference in the look, feel, and functionality of her client’s homes. Let Paula help you fall in love again. She knows there’s no better feeling to walk into your house and know it is your space…your style, and most importantly…your HOME. Certified True Colour Expert™, receiving her training from Maria Killam, CEO and Founder of Understanding Undertones™ – the Color System. Voted #1 Interior Designer in the 2016 Illinois Times People’s Choice Awards. Your space or home should make you happy. The design should reflect your personality and your best you. Your style is as unique as you are and your home should reflect that. It should be the place where you relax, surrounded by people and things you love. It should be beautiful, comfortable, and functional for your lifestyle. Designing your perfect place should be a collaborative and expressive process of exploration and creative ideas. Let me show you how even small changes can make a big difference…how simply using the correct paint color or selecting the right finishes can change the look and feel of your room. I believe investment in a good design plan can save money. I can recommend up-front practical, affordable, and functional decisions in the new design or remodel process to avoid costly mistakes that can add time and frustration down the road. If you are on a tight budget, creative and imaginative use of what you already have can save money. Let’s brainstorm. So you hate your kitchen, but do you really need to completely gut it when painting the existing cabinets with a striking color and adding new hardware can be transformative? I promise to always communicate with you honestly, openly and respectfully; and ask that you do the same. By maintaining integrity in our conversations and dealings, we’ll ensure you get the result you want with no surprises. It’s easy to get started. Just give me a no-cost and no-commitment call and let’s have a chat to begin collaborating your design project.